Should You Invest in Stocks When The Market is High? The Indian stock market hit the record high yesterday (15 Jan’18) when NSE Index nifty touched 10741.55 points for the first time in the Indian history. People who have already invested in the market are enjoying the fun ride. But what about those who haven’t entered the market or are planning to invest? Should I wait for a market crash or correction? Or Should I enter the market? I have already missed out the last few months and what if there is no market crash and the bull market continues? I don’t want to miss this opportunity. Overall, the main question is whether this is the right time to invest in stocks or should you wait for some correction. If you think rationally, then it makes more sense to not invest in the market if it is going to crash tomorrow. Why invest in stocks if its price to going to come down tomorrow and then you can buy the stocks cheap. Putting your money in the market at the wrong time is one of the biggest concern for most of the investors. But how much certain are you that the market is going to crash tomorrow or in near future? If you know the fixed date or even the fixed month, please share it with me. I’ll sell my entire portfolio, hold my money and buy the stocks only after the crash. 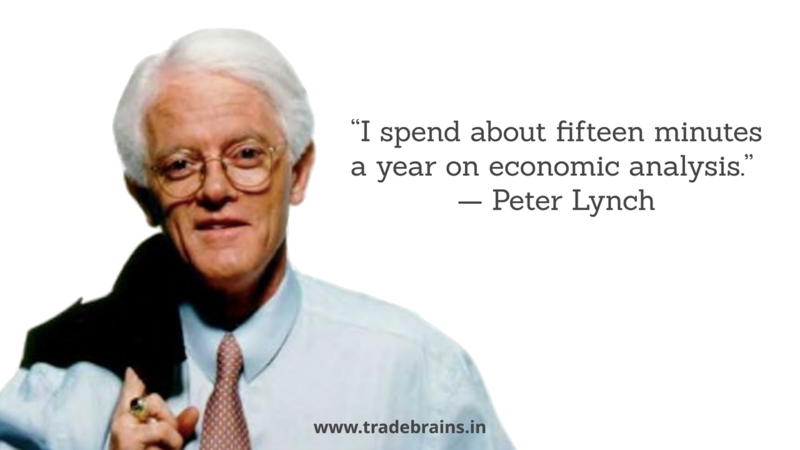 Here’s a quote from the star fund manager, PETER LYNCH. He is known to deliver 29.2% annual returns for 13 consecutive years while he was managing the magellan fund at Fidelity Investments. The quote is from Peter Lynch’s best selling book ‘ONE UP ON WALL STREET‘, which I’ll highly recommend you to read. In the book, Peter Lynch argues that those who spend more time analyzing the economy and predicting the market crash, are simply wasting their time. They can get more benefits from the market if they spend the same time researching the stocks. Honestly speaking, no one ever knows when will be the next big market crash. Even the greatest market experts and economists had failed to do so. Otherwise, whey would have been the richest person in the world, not Warren Buffett, the Oracle of Omaha. Now, once you are certain that you cannot predict the future and hence, do not know if there will be a market crash tomorrow, let’s take a different approach and rule out the decision of not investing in stocks. Let’s recap what we discussed till now. First, you do not know that when will be the next big market crash. And second, you know that market is capable of giving good returns on your investment. Currently, the bulls are in control of the Indian share market and however, the bull run may or may not continue in the future. The bull market may end next month or might long for the next few years. With all these uncertainties, the best approach that you can take is to invest intelligently in the market. Do not look at just the market indexes. Even in the bull market, there are a number of companies which are at 52-week high and 52-week low. It’s easier if you just look at the stock and ignore the market (for some time). If you find a good stock which is currently trading at a reasonable price and you believe that the company is capable of huge future growth and giving high returns to the investors, then invest in the company. There are over 5,500 listed company and not all of them can be over-priced at once. The index nifty and Sensex comprises of the 50 and 30 large companies from NSE & BSE. Hence, they are totally capable of ignoring the performance (and valuation) of many of the large/mid/small companies listed on the market. A sample of 50 companies cannot give the exact outlook of all the 5,500 listed companies. Find some good companies and invest in them, regardless being the market high or low. 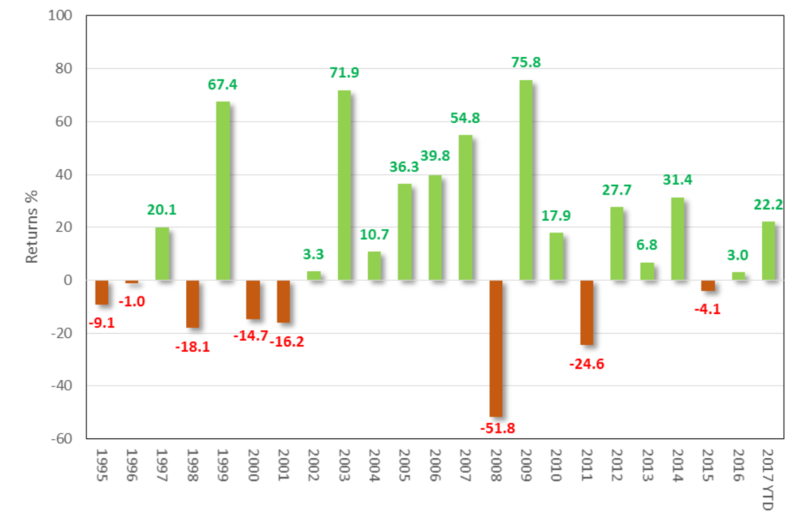 Even during the bear market of 2015-16, there were many stocks which gave multiple times returns. This means that remaining invested in the share market for the longest time is better than to wait for the perfect time and enter late. Do not wait too long to get started. 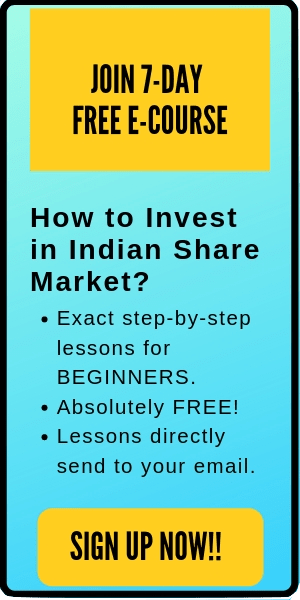 You need to remain invested longer in the Indian stock market if you want to create wealth. The Indian stock market is at record high from the last feb’2016. And if you haven’t invested since then thinking that the market is at the all-time high, you have already missed 11 months of the bull run, where may have already created huge wealth for many. If you feel the market is at ‘high valuation’ don’t buy the market, buy stocks. Buy companies with comfortable valuation. India still has large number of small market-cap companies with significant business; keep an eye on changing profile of ‘chor companies’, you are not late? What is the best approach for new investors? For newbie investors, I will recommend- Rupee cost averaging. Invest a certain amount of money each month. 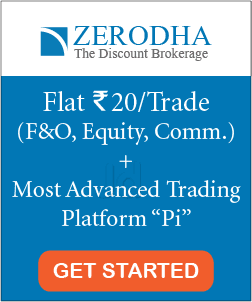 If you are not certain about the future price movement of a stock but are confident that it is fundamentally strong, then follow the rupee cost averaging approach. Invest a few amount every month in the stock for the next 5-6 months and average out your buying price. Moreover, avoid lump sum investment i.e. investing the complete amount at one go. I know most of the investors get panicked when they hear the word ‘CRASH’. No matter how much reasons I give to invest, however after reading this word, you might be re-thinking that I shouldn’t invest now. Maybe the market will crash soon as the market is at the record high. I will invest in the market later. I wish making decisions to invest was that easy. No one can predict the precise date of the stock market crash. And If we can’t control or forecast something, it’s not that important to discuss. Nevertheless what we can do, is to read the historical data. Let’s analyze the worst stock market crash in the Indian history- 2008 Stock market Crash. The biggest crashes were on two consecutive days- 21 Jan and 22 Jan during the 2008 recession time. 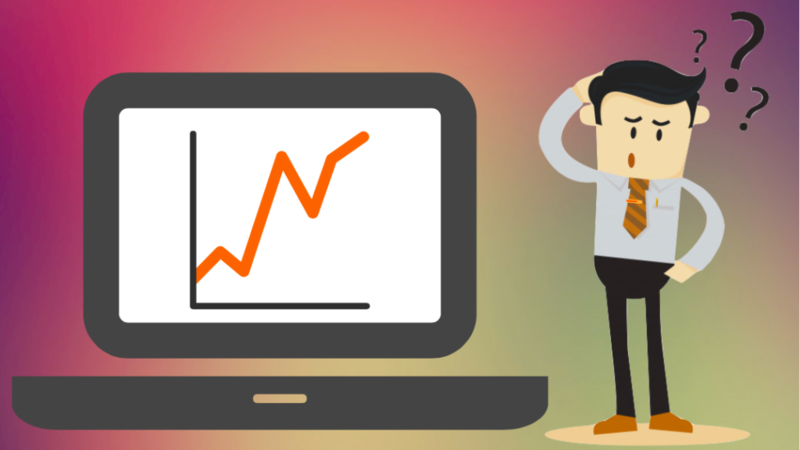 On both these days, the BSE Index Sensex fell over 2,000 points. Moreover, there were 7 trading days when the Sensex fell over 1,000 points in 2008. Source: Sensex’s 1,689-point plunge not even among 5 biggest crashes in BSE history! The point to note here is that even the worst Indian stock market crash would not have been able to destroy the wealth of the long-term investor. In the above chart, notice that even if you have invested at the peak of 2008 and had remained invested for 8–10 years time horizon, you would have received decent returns from the market. Further, as I already stated above, you cannot predict when the next crash will happen. It may be within a year, or maybe after 5 years, or maybe after decades, who knows? Moreover, what if we are at the stage of 2005 when the stock market was still at an all-time high but at the beginning of the bull run? Those who didn’t invest in 2004/05 thinking that the market was at high, missed the bull run phase of over 3 years. And just for your information, the NSE benchmark index Nifty gave a return of 36.3% (2005), 39.8%(2006) and 54.8%(2007) in that bull run. In 2017, nifty gave a return of 28.6% to the investors and people think its huge (The below graph is updated upto July’17). I cannot say whether there will be a market crash or not in the future. But what I can say is that the Indian economy is going through a major boom. And if you do not invest in stocks, you might miss one of the biggest stock market rally. Today the market is high. And that’s why you are not investing. Tomorrow, when the stock prices will be falling and many of the companies will be making their all-time low, will you have the nerve to enter the market? It’s really tough to buy the stock at the exact bottom and sell at the top. To be honest, those who are able to do it are often lucky. Moreover, it’s not repeatable. Even if you’re able to do it once, you definitely cannot repeat it again and again. If you are waiting to enter the market when it’s at the bottom, then it’s really difficult. 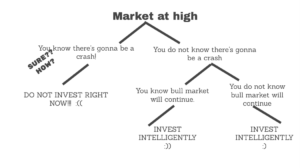 Similarly, if you are trying to exit from the market, thinking that the market is high, how can you be certain that it’s the top? Overall, do not try to time the stocks, in spite try to stay for a long time in stocks. AS ALWAYS, TIME IN STOCKS IN BETTER THAN TIMING THE STOCKS. What approach should the old-investors follow? For those who have already invested in the stocks, do not move out of the market, just because the market is high or your stock is at the 52-week high. If you are investing for long-term (8-10 years or more), then surely you will find few times when the market is at high. Are you always going to quit that time? Most of the greatest investors are known to hold the stocks for 10-15 years, and not to sell them in between even when their stocks hit new highs a couple of times in this period. The world’s most renowned investor, Warren Buffet bought the stocks of Coca-cola in the late 1980s (around 1988-89) and is still holding that stock for over 27 years now. The Big bull of India, Rakesh Jhunjhunwala bought the stocks of Titan Company in 2002-03 and is still holding the stock. Certainly many a time the market was at its high in the period of last 15-16 years. But being a long-term value investor, Rakesh Jhunjhunwala didn’t sell the stock, just because the market was high. 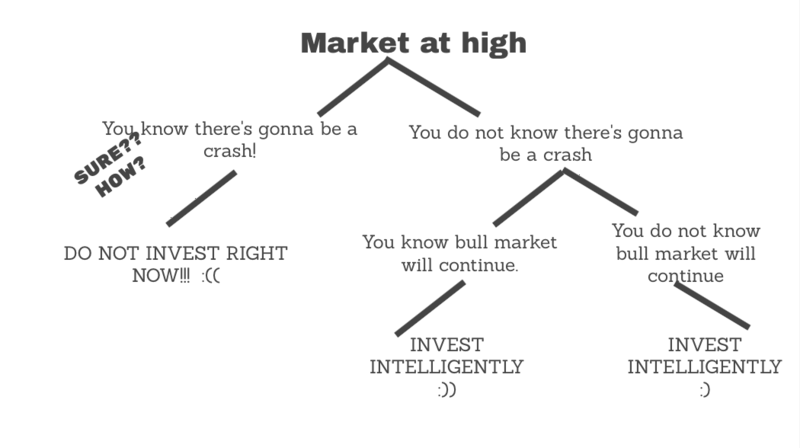 In short, do not exit from the stock just because the market is high. You might never be able to enter the stock again at the same discount price where you entered first. The stock market indexes- NIFTY & SENSEX are high, isn’t a valid reason to not invest in the share market. While investing in share market, look at the company, not the Index. If you are able to find a good stock at a reasonable price and believe that the company has huge future growth potential, then invest in it. You cannot predict whether there’s gonna be a crash or a long bull market ahead. The key to success in stocks in to minimise the risks, not to avoid it. If you invest in stocks intelligently, then you can minimise the risks, even in the crash, correction or bear market. However, if you avoid the market, then you won’t be able to get any benefits; even if there is a bull run in the market. Quick Note: According to the World Bank’s Global Economic Prospects, India is likely to regain the position of the fastest growing economy in 2018. India’s growth rate is expected to accelerate to 7.3% in the year. Still not want to invest in the growing economy of the country? Read more here. What’s the golden rule for wealth creation for the new and old investors? Invest for the long term. Find fundamentally strong stocks and hold it tight without getting influenced by the public sentiments. Do not wait for the ‘bestest’ time to enter the market. Many had failed to time the market and you will too. You may call this a conservative approach. However, if the long-term investment has worked for most of the successful stock market investors and had created huge wealth for them, then it can definitely create decent wealth for us too. THAT’S ALL! I hope this post is useful to the readers. If you are new to stocks and confused where to start, here’s an amazing online course for the newbie investors: INVESTING IN STOCKS- THE COMPLETE COURSE FOR BEGINNERS. I’m confident that the course will be useful to the new investors. Happy Investing.